We introduce you the Beta of a major mod, you still don’t stop to take a final version due to continuous updates of Minecraft, but we can enjoy it in beta. 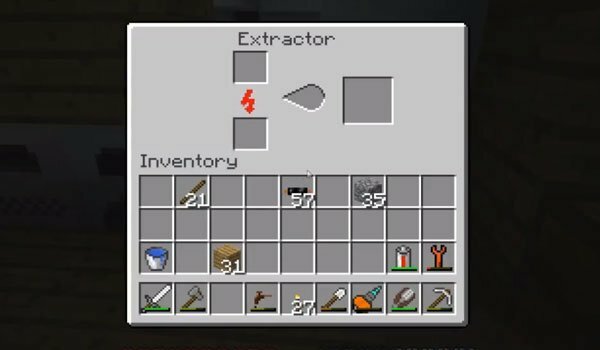 Industrial Craft 1.12.2 and 1.11.2 adds energy to your Minecraft, that you wold create, store and distribute, through various types of equipment and wiring that lets you automate many processes of play and combine it with other mods like BuildCraft Mod and generate a “new type of game” in Minecraft. How to install Industrial Craft Mod for Minecraft 1.12.2 and 1.11.2? This is really good, thank you, but it is missing a lot of textures. I downloaded it and it works great. Which mod should I use for like Not enough Items or Too many Items so I can see the items I need for what? In my opinion Not Enough Itens (NEI) is much better than Too Many Itens. The only advantage of using TMI is the fireworks tab, and i am not sure if it shows the crafting.I would use NEI, definitely. Hi. Thanks for the great mod! Any indication when an updated version will be available that works with mc 1.5.2? hey my name is jake i love IC2 so i looked this up and i thought ” yes” then it was missing textures i have optifine but it didnt fix the texures. how do fix the textures? That is your NEI crashing it. it happens with me too. remove NEI and try again. It says that IC2: version 2.0.something required…. What does that mean?? it always crash with optifine 1.7.2. why? Hi i have just downloaded this mod and when ever i start my Minecraft it just crashes is there any solution to this problem? ummm… i have everything but i cant craft anything new and all i have is the industrial craft mod installed. My computer is the toughest of the tough but this has confused me beyond all reason so there is my problem, its up to you to find a solution. For me all it does is crash my game then the error is that it is stitching Atlas texture. What do I do?